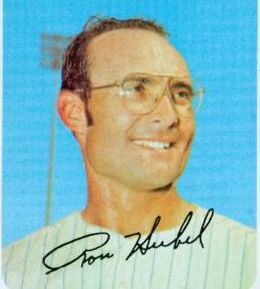 Ronald Samuel Herbel was born on January 16, 1938 in Denver, Colorado. He went to the University of North Colorado and got drafted by the San Francisco Giants in 1958 just as they arrived on the West Coast. 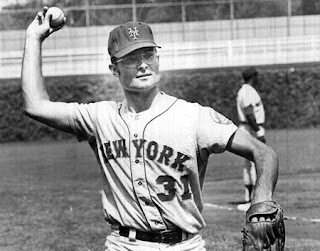 The right hander spent five years in the minors making his MLB debut against the New York Mets in 1963 at the Polo Grounds. He spent seven seasons with the Giants being used as both starter & reliever. 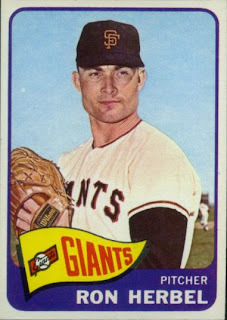 His best season was in 1965 going 12-9 with a save striking out 106 batters in 170 innings pitched posting a 3.85 ERA. 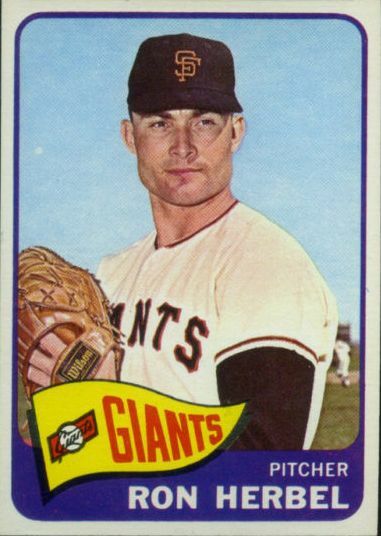 As the sixties closed out he was pretty much strictly a relief pitcher. In 1970 he was 7-5 with 9 saves for the Padres, through the end of August, when he was traded to the New York Mets for Rod Gaspar. Herbel was brought in to help bolster their bullpen up for the stretch run. At the time the Mets were 1 ½ games out of first place, & although they were only one game out by mid September they faded finishing six games behind the Pittsburgh Pirates. On the day he arrived with the Mets, he got a win, pitching one inning of relief in St. Louis. Later that week he earned a save at Shea against the Expos then a win the next night against Philadelphia. In his first ten days with the Mets he had two wins and a save, fitting right in with the club. Herbel pitched in twelve games for the Mets in September 1970 going 2-2 with one save. He posted a 1.38 ERA allowing two earned runs in 13 innings pitched. On the season he led the NL in appearances with 76, going 9-7 with a career high 10 saves in 124 innings pitched. On December 1st he was traded to the Atlanta Braves, for Bob Aspromonte who would be the Mets main third baseman in 1971. Herbel would pitch in 25 games going 0-1 with a save in Atlanta finishing up his nine year career. Lifetime he went 42-37 with 16 saves and a 3.83 ERA. Herbel was never a good hitter, in his first season he had 54 plate appearances going hitless, striking out 30 times. Trivia: According to baseball reference he has the worst batting average all time for a player with a minimum of 100 career at bats .029. Passing: Ron passed away in Tacoma, Washington at age 62 in 2000.